Select the group from the left navigation by Click on the group from which you want to remove users. 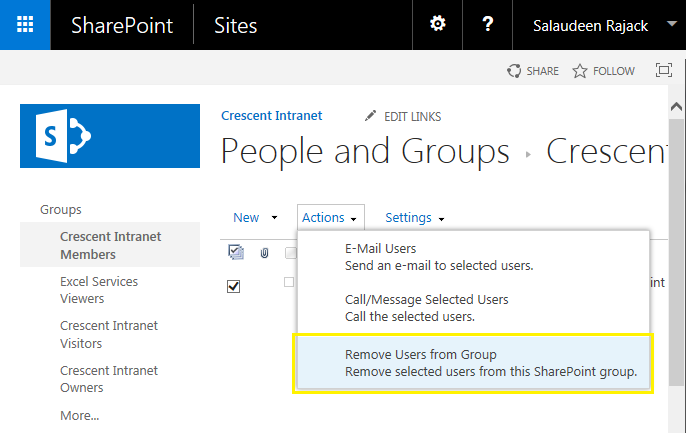 Select the user(s) and click on Actions Menu >> Choose "Remove users from Group"
Confirm by clicking "OK". 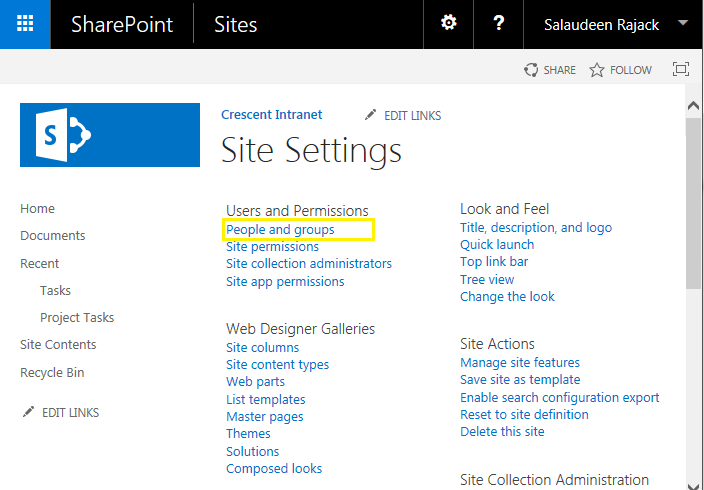 Selected users are now removed from the SharePoint Group. 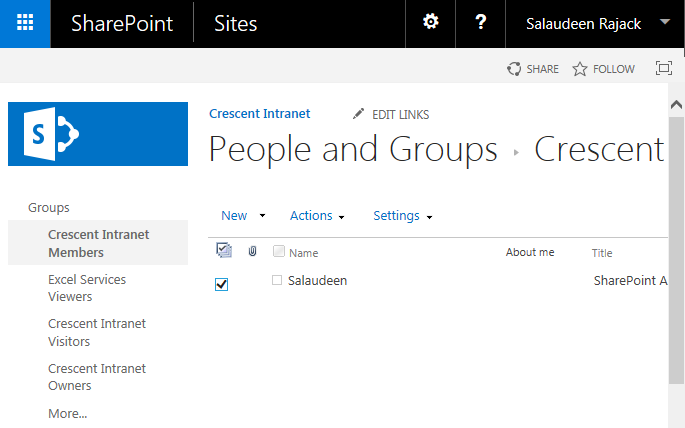 Write-Host "$($User) Removed from the Group: $($GroupName)"
RemoveUser-FromGroup "http://sharepoint.crescent.com/sites/Operations" "Operations Members" "Corp\DaveP"
This removes given user from specific SharePoint group. How about removing user from All groups in the site? Write-Host "$($User) Removed from the Group: $($Group)"
Web.SiteGroups gets you a collection of cross-site groups for the site collection. These groups can be used in more than one Web object in the site collection. Web.Groups gets you the groups that has some permission on the specific Web (subsite). These groups may have permission somewhere in the site. E.g. List or List Item with broken permissions. So if you add group to a site without any permission on the site, then this group won't appear in Web.Groups collection, but it will appear in Web.SiteGroups collection. Sure, You can either use the function "RemoveUser-FromAllGroups" repeatedly with different user accounts, to remove them from all groups or "RemoveUser-FromGroup" function with specific group names. I just have to say 'Thank you' to Salaudeen, for this site has helped me with several tough problems. I appreciate the support and sharing. Also, kudos to Edmond for the tip about the distinction between $Web.Groups and $Web.SiteGroups. Simple, but VERY handy! sorry but i'm new with powershell. In the script to remove a user from all groups i have to replace only "siteURL" and "UserAccount" correct? and...the script ends on row 23?